So my R plates come down in just over two weeks. Big whoop I know. Some people reading this column have been driving for years and will be thinking ‘so what?’ But the thoughts of no longer being an ‘official scumbag’ (as I have been called, I’ll leave it to you to decide whether it was serious or not) have made my thoughts turn back to my main mode of transport before I made the big move to driving. Buses. Boo hiss and all that, being the pantomime villains they are. Or more specifically, their drivers are. See, having travelled on so many of these vehicles over the years – for school, for university, for work and just to get into town and back – I’ve experienced many of the cast of characters Translink employ over the years. We’ve had Sgt Slaughter, so nicknamed by me and friends because of his uncanny resemblance to the American wrestler; Junior, who garnered his moniker because he looked 12 –years-old at a push and the T-1000. 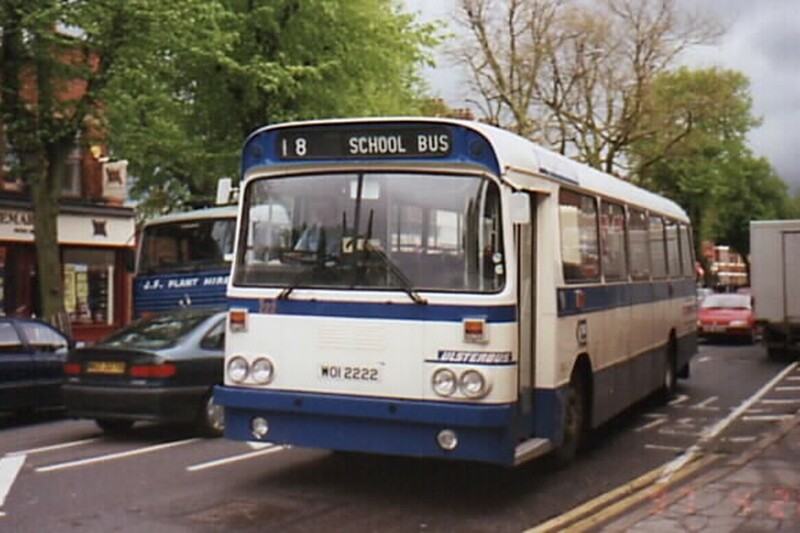 The latter was my favourite because those of us who started going to school under the previous Conservative government were able to avail of bus passes that got us free travel (who says the Tories are all bad?). The vast majority of drivers simply let us on each day without looking but T-1000 took his time checking each pass every single day he had the honour of driving us. Add that to the fact he was the doppelganger for the bad guy from Terminator 2 (the aforementioned T-1000) and it soon became clear to my friend and I this guy was really a cyborg sent back from the future to continue his search for would-be human resistance leader John Connor, hence his propensity to look at all our names. Why he decided to do this under the guise of an Ulsterbus driver is another, still unclear, matter. But no matter their looks, they all had one thing in common – they weren’t the nicest people in the world. Moaning and grumping, they made Victor Meldrew look like Mickey Mouse. And if you think it was just because we were all rowdy schoolkids at the time, you’d be wrong because I watched the same guys moan about the same things to members of the public as well, so it was clear it was a personality issue. Maybe they were bred in a lab where they were taught to complain about people shouting, standing in the aisles or not having the correct change. In fairness, there were times when they seemingly had every right to complain. I lost count of the amount of mornings where, having stood at an uncovered bus stop under the pouring rain for 20 minutes, I got on a bus only to be met with some noise (dance music I believe it’s called) blasting out of the phone of one of a group of kids sitting near the back (which is apparently the cool thing to do. Strange I never saw the Fonz sitting there though). This was then followed by one of his or her friends, who wanted to win the loudness contest they were clearly having by then playing their music at an even greater volume. Since I’ve knocked the buses on the head, I’ve managed to only use them four times, each as a last resort. However, each time without fail they have managed to be late – timetables of course are only suggested times of arrival with buses here – and reinforced one of the many reasons I hated them over the years. So while it may be more environmentally friendly to leave my own wheels behind in the morning, if the choice is between increasing the amount of greenhouse gases in the Earth and me having to put up with the torture of buses, then we may all get our shorts on.